You can still apply for the waiting list to keep your chance open to get a spot when a cancellation will appear. 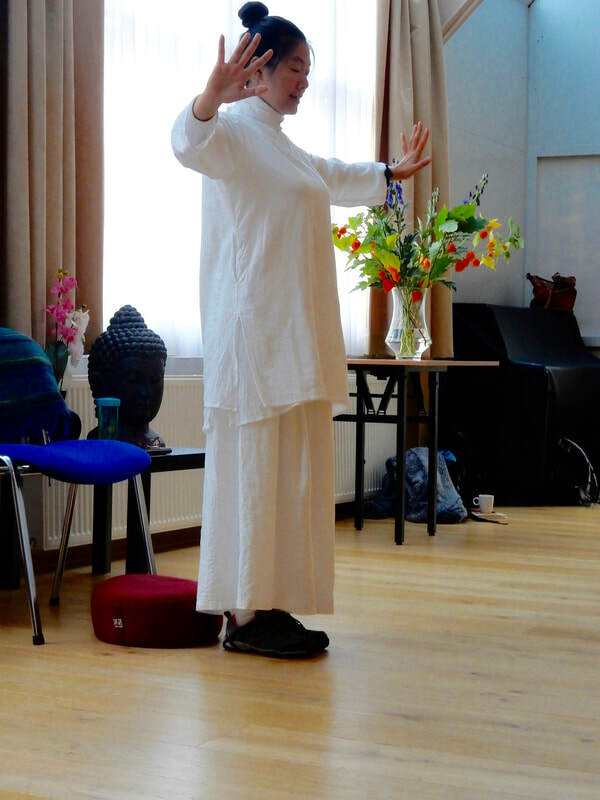 Met veel vreugde verwelkomen we voor de vierde keer het steeds populairder wordende Chinese Qigong echtpaar Lu&Wang om weer een prachtige diep werkende workshop te geven. Dit ervaren duo geeft al 20 jaar les en zijn buitengewoon goed op elkaar afgestemd en weten zo een echte synergie tot stand te brengen. Zij brengen zij hun rijke kennis van Zhineng Qigong, Healing en Life Cultivation met veel humor en helderheid over en voelen als geen ander aan wat de groep nodig heeft. We live in a fast, hectic and busy society world, that make us lose a lot of energy and brings us stress, restlessness and pressure. How can we get rid of this and deal with the many obligations, expectations and attachments we have? How can we see the real self, the true reality and see through our emotions and our different selves (our ego, the social roles we play, the masks we wear in life) instead of being controlled and limited by them? By just practicing the Qigong methods, no matter how long and how often we do this, we will only reach a level of good health and wellbeing. This is not enough to solve all of our problems in life and be in peace and harmony with ourselves and our world (like our social relationships and other life forms). The key for this is to know how to handle our mind the right way, so we can get in touch with the True Self and develop the use the abilities of the True Self in Qigong practice and in daily life to get rid of our boundaries and limitations. 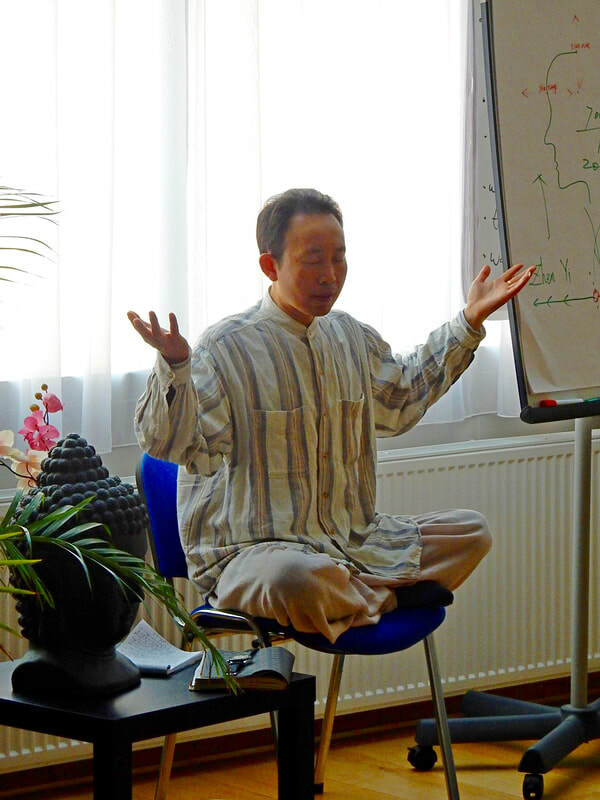 Practicing Zhineng Qigong from the pure awareness of the True Self is not only a shortcut to gain a very good health on a deep and high level, but also for achieving true inner happiness and real freedom in life. Living and practicing ZQ from the True Self will make everything in life easy and effortless and enables us to reach the level and state of Wu Wei; doing nothing and yet get everything accomplished. Although this is a high level state of being in Daoist practice, it is in fact not so difficult to reach if we understand the true reality of life through the cultivation and use of the True Self. You will get practical tools and techniques to bring your Qigong abilities with these topics to a deeper and higher level and how to use these in daily life. Price: € 295,- including lunch, snacks, drinks and gifts. This workshop is given in English and suitable for beginners and advanced practitioners and teachers.